The pension fund for Scotland’s MSPs is investing £3.2 million in weapons, tobacco and dirty fuels despite the dangers they pose to life, health and the planet. A new analysis reveals that the Scottish Parliament scheme is funding firms under fire for Trident, killer drones, cigarettes and climate pollution. 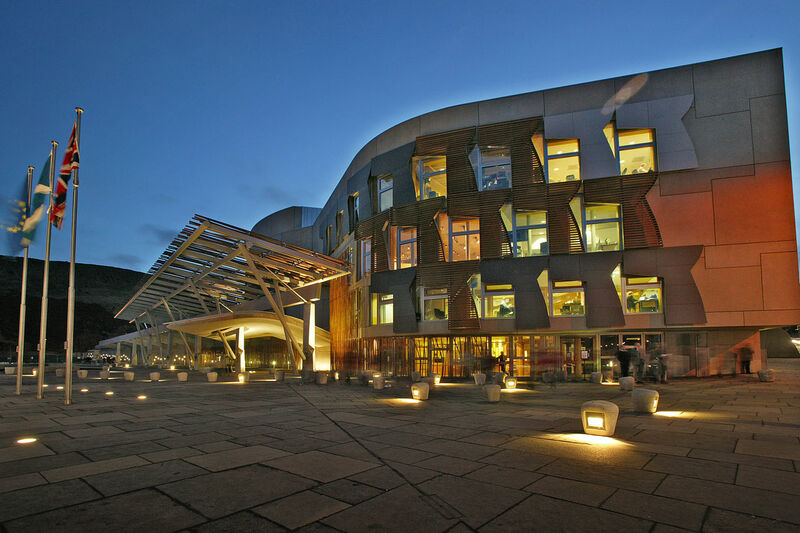 It has prompted angry condemnations from some MSPs, who say that parliament’s moral integrity is being destroyed. A multi-million-pound pension fund for 127 MSPs is run by private investment managers and overseen by a board of trustees, most of whom are MSPs. In 2015 the fund gave £587,000 to three leading arms traders: Rolls Royce, Ultra Electronics and Meggit. Rolls Royce makes the reactors that run Britain’s nuclear submarines, including those armed with Trident nuclear missiles based at Faslane. Ultra Electronics and Meggit help to make military drones used for lethal strikes, causing the University of Edinburgh to withdraw its investment from Ultra Electronics in 2013. The MSP pension fund also poured £474,000 into two big international tobacco companies, British American Tobacco and Japanese Tobacco. The firms are taking the UK government to court for hitting their profits by introducing plain, un-branded packaging for cigarettes. The biggest slice of the pension fund – £2.1 million – went to 15 major coal, oil and gas companies, blamed for the carbon dioxide emissions that are disrupting the global climate. One of the biggest beneficiaries was BHP Billiton, the target of fierce attacks this weekend by Colombian environmental activists on a visit to Scotland (see table below). The Independent MSP, John Finnie, has been campaigning for the Scottish Parliament to end its “unethical” investments. He accused fellow MSPs of being “prevaricating, dis-interested, unaware and above all hypocritical” about the issue. “MSPs’ pensions should not be fattened further at the expense of our planet or its residents’ health and well-being and I am ashamed that the overwhelming majority of my colleagues seem relaxed to benefit personally from socially and environmentally destructive companies,” he said. The Green MSP, Alison Johnstone, pointed out that the Scottish Parliament was increasingly out of step with the growing divestment movement backed by universities, pensions funds and banks. Last month, the governor of the Bank of England, Mark Carney, warned of the “potentially huge” financial risks of continuing to invest in fossil fuels. The Campaign Against Arms Trade called for the Scottish Parliament to put its money where its mouth is. “It must stop investing in destructive industries like arms, tobacco and fossil fuels,” said the campaign’s spokesman, Andrew Smith. MSP pension investments were “shocking”, according to the anti-tobacco campaign, ASH Scotland, “There is no way to reconcile the Scottish Government ambitions for a healthier, wealthier and fairer Scotland with any financial interest in tobacco companies,“ said the group’s chief executive, Sheila Duffy. The new figures were compiled by Friends of the Earth Scotland. “Pensions exist to sustain us for the future so MSPs should challenge their pension fund to contribute to a future that’s worth living in,” urged the environmental group’s Ric Lander. He is hosting a visit to Scotland this weekend by two activists from Colombia, who blame the oil and gas mining giant BHP Billiton for blighting their communities. “The story of coal mining in Colombia has been 30 years of destruction, 30 years of sadness, 30 years of pain,” said Samuel Arregoces, a villager from Tabaco evicted to make way for opencast coal mining. BHP Billiton pointed out that it was only a one third shareholder in the Cerrejón mine in the La Guajira region of Colombia. But it insisted that it listened to the concerns of the local community. “There are many parts of the community that support the further development of the mine and the economic contribution and relatively high-paying jobs it brings – and there are others who are less convinced by that,” said the company’s chief executive, Andrew Mackenzie. Mike Tholen, economics director at the industry body, Oil & Gas UK, stressed that daily life depended on ready access to energy. “Oil and gas will be needed to supply at least 50 per cent of global energy demand in 2035,” he said. A spokeswoman for the arms industry body, Aerospace Defence Security, pointed out that the industry made vital contributions to national security and national prosperity. The Tobacco Manufacturers’ Association insisted that it ran a “legitimate” business that people could choose to invest in. “Fund managers are free and indeed required to make the best financial decisions for their investors,” said an association spokesman. Jonathan Isaby, chief executive of the right-wing Taxpayers’ Alliance, went further. “These investments only seem to be questionable in the eyes of the self-appointed high priests of morality from taxpayer-funded charities, and they seem to forget how crucial it is for people to get a decent pension in their old age,” he said. Holyrood images both published under the OSGL license. A version of this story was published in the Sunday Herald on 25 October 2015. The five trustees listed in the Scottish Parliament’s updated pension guide are Tavish Scott MSP (chair), Duncan McNeil MSP, Gil Paterson MSP, Alex Johnstone MSP and Alasdair Morgan (pensioner trustee).